A short CV including the author`s affiliation and professional postal and email address must be sent in a separate file. All special acknowledgements on behalf of the authors must not appear in the submitted text and should be sent in the separate file. When the manuscript is accepted for publication in the journal, the special acknowledgement will be included in a footnote on the last page of the paper. 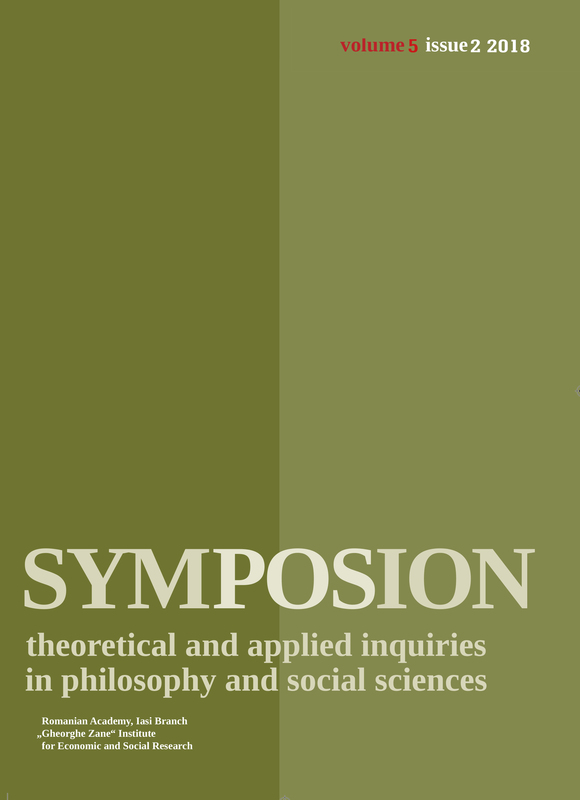 Symposion publishes standard submissions and invited papers. With the exception of invited contributions, all articles which pass the editorial review, will be subject to a strict double anonymous-review process. Therefore the authors should avoid in their manuscripts any mention to their previous work or use an impersonal or neutral form when referring to it. The submissions will be sent to at least two reviewers recognized as experts in their topics. The editors will take the necessary measures to assure that no conflict of interest is involved in the review process. The review process is intended to be as quick as possible and to take no more than three months. Authors not receiving any answer during the mentioned period are kindly asked to get in contact with the editors. Processing of papers in French may take longer. The editorial committee has the final decision on the acceptance of the papers. Articles accepted will be published, as far as possible, in the order in which they are received and will appear in the journal in the alphabetical order of their authors. Authors should retain a copy of their paper against which to check proofs. The final proofs will be sent to the corresponding author in PDF format. The author must send an answer within 3 working days. Only minor corrections are accepted and should be sent in a separate file as an e-mail attachment. 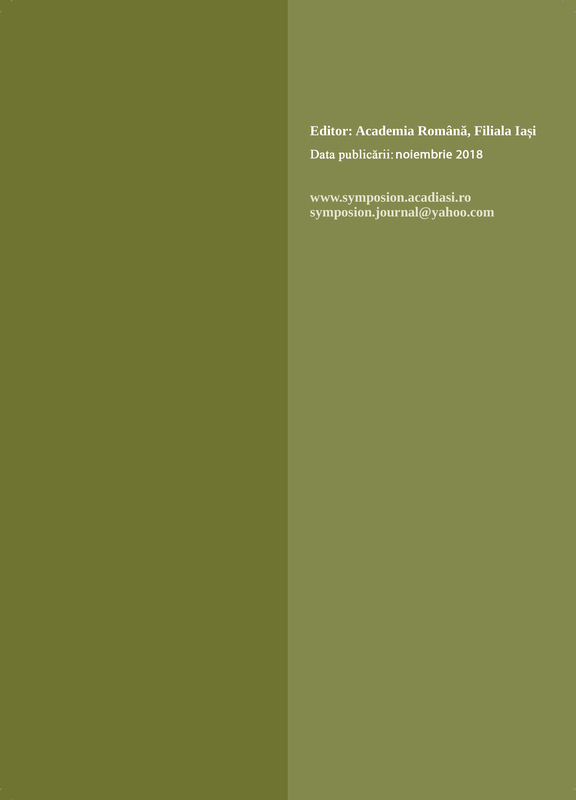 Authors who wish to have their books reviewed in the journal should send them at the following address: Symposion Journal, Institutul de Cercetări Economice şi Sociale „Gh. Zane” Academia Română, Filiala Iaşi, Str. Teodor Codrescu, Nr. 2, 700481, Iaşi, România. The authors of the books are asked to give a valid e-mail address where they will be notified concerning the publishing of a review of their book in our journal. The editors do not guarantee that all the books sent will be reviewed in the journal. The books sent for reviews will not be returned. Articles accepted for publication will become the property of Symposion and may not be reprinted or translated without the previous notification to the editors. No manuscripts will be returned to their authors. The journal does not pay royalties. Authors have the right to use, reuse and build upon their papers for non-commercial purposes. They do not need to ask permission to re-publish their papers but they are kindly asked to inform the editorial board of their intention and to provide acknowledgement of the original publication in Symposion, including the title of the article, the journal name, volume, issue number, page number and year of publication. All articles are free for anybody to read and download. They can also be distributed, copied and transmitted on the web, but only for non-commercial purposes, and provided that the journal copyright is acknowledged. The journal is archived on the Romanian Academy, Iasi Branch web site. The electronic archives of Symposion are also freely available on Philosophy Documentation Center , PhilPapers, Academia.edu, and CiteFactor.